This is a sign that Virtual Console on Wii is definitely on its last legs. 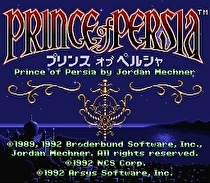 Prince of Persia for Super Famicom and Metal Slug 3 for Neo Geo will be the only two Wii Virtual Console releases in Japan next month. This is the lowest total of Virtual Console releases on the system in a month in Japan ever. Hopefully it won't get delayed again and become a GameStop exclusive. Rhythm Thief, which is coming out in Europe on April 5, isn't coming out in North America until July 10, according to Sega's official blog. The lengthy release disparity between European and North American Sega release dates isn't new, unfortunately. Crush 3D came out in Europe in January, and only came out in North America earlier in March as a budget-priced GameStop exclusive. While always planned for 3DS, it started development before development kits were even available. Kid Icarus: Uprising has been in development so long that Masahiro Sakurai and Project Sora started working on it on PC and Wii before Project Sora was even officially formed, according to the latest Iwata Asks on the game. 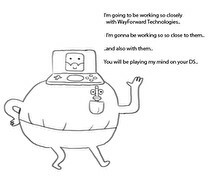 "At first we didn't have the Nintendo 3DS development kit, so we started making it on a PC. Oh, and for a while we were using a Wii to make it!" Sakurai said and followed it up with an Iwata Asks-staple laugh. Wario's brush with immortality comes to 3DS - in color too! The first sequel to Wario's pioneering adventure on the Game Boy is set for release on the Japanese Virtual Console service on April 4th. The 3DS version is a port of the Game Boy Color re-release, which was the only version released in Japan. Rhythm Thief will be out in Australia early in April. 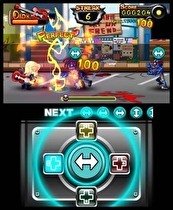 Rhythm Thief & the Emperor's Treasure has been announced for release in Australia on the Nintendo 3DS on April 12, 2012. Australians should speed towards the eShop soon to tackle Potzol's Puzzle! 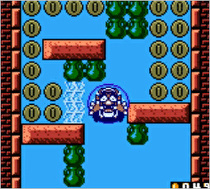 The puzzle game SpeedThru: Potzol's Puzzle has been announced to launch on the Australian eShop on April 5, 2012. The game offers an immersive 3D world which puts players' skills of spatial awareness to the test. SpeedThru: Potzol's Puzzle features over 90 stages, along with three multiplayer modes. The DreamRift-developed platformer will make use of the stylus, feature classic characters, and show off wonderful parallax backgrounds in 3D. 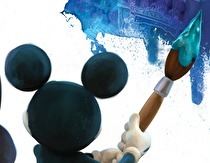 Epic Mickey: Power of Illusion, developed by Monster Tale and Henry Hatsworth developer DreamRift, is actually a sequel of sorts to two different games: Epic Mickey, the 2010 Wii release, and Castle of Illusion, a 1990 Sega Genesis title. Xseed will be bringing this dungeon crawler to western 3DS owners. UnchainBlades ReXX will be given a western release as Unchained Blades, to be published by Xseed on the Nintendo 3DS. Not one, but two Epic Mickey games will be hitting stores this year. 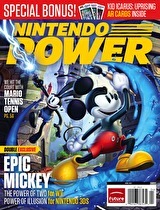 Epic Mickey: Power of Illusion has been officially announced for 3DS in issue 277 of Nintendo Power. Officially, only Epic Mickey 2: The Power of Two had been revealed until now, but the 3DS version will be joining it as a completely new game. Developed by Dreamrift (who worked on Monster Tale previously), the title is known to be completely different from the Wii game, but little else will be revealed until the actual issue hits shelves. The cartoon show is getting its own game, developed by WayForward. Adventure Time, developed by WayForward, is scheduled to hit shelves as a Nintendo DS game later this year. The cartoon show's creator revealed the news last night through Twitter, along with some humorous pictures. He only revealed that the title would be coming later this year, so we will have to wait for a more definitive release date. If you ever wanted one of your game ideas to become a reality, now might be the chance. Renegade Kid and GAMEscribe have joined forces to bring us the pitchWinPLAY contest, a competition where one submitted idea will become a 3DS eShop game. Starting April 2, 2012, the retailer will no longer accept the trade-in of GameCube consoles, games, and accessories. GameStop is ending their part in the used GameCube consoles, games, and accessories market. According to a banner located at the bottom of the Trade-Ins page on their US site and similar signs in stores, GameStop and EB Games will no longer accept trade-ins on any GameCube consoles, games, or accessories starting April 2, 2012. ...and no one has any idea what it means. 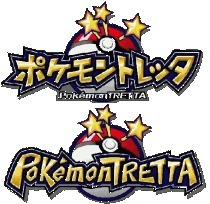 The name "Pokémon Tretta" has been trademarked by Nintendo, GameFreak, and Creatures. The trademark itself (number T2012-14319) has not been given meaning yet, though a logo was included with the trademark. In Japan, the word "tretta" usually refers to something bookshelf or bicycle related, but with an English logo being given alongside a Japanese one, whatever the trademark refers to will likely come to the west in some form. Slay some zombies, play some poker, and solve a mystery all with this week's Nintendo Downloads. Every Nintendo device is receiving some downloadable content this week, in the form of an eShop original, a DSiWare game, and a WiiWare title. The sequel to ThruSpace gets a North American release date. Ketzal's Corridors is releasing on the North American eShop on April 12, according to Nintendo of America via Twitter. Ketzal's Corridors, the sequel to ThruSpace, released in Japan during October 2011. The games objective is to guide various shaped "guardians" through holes on walls. The nearly 100 story mode missions are set among ancient relics. Ketzal's Corridors also supports some multiplayer modes. The wait for this music game is almost over for North Americans. Theatrhythm Final Fantasy is coming to the Nintendo 3DS this summer, according to Square Enix. Theatrhythm Final Fantasy was released in Japan on February 16, and sold significantly well. The game will now have its chance in North America in the coming months. Yet another style of the 3DS is on its way to Japan. A Coro Coro Comics 35th anniversary edition 3DS is being released by Nintendo and Coro Coro. 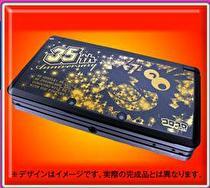 This 3DS is the next in a large list of different styled 3DS's that have been revealed over the past few weeks. Additional details are set to be revealed in the May issue of Coro Coro, releasing on April 14. Eat, explore, and sleep in this new 3DS adventure. Namco Bandai revealed their new game for the Nintendo 3DS, Gon Paku Paku Paku Paku Adventure. Little to no information was supplied regarding the game, other than a short description of what you do: eat, explore, and sleep. The game's official website can be accessed here. The sequel to a classic homebrew application will be hitting digital shelves early next month. Colors! 3D will be released onto the North American eShop on April 5, as reported by Jens Andersson, founder of the series. The release date was tweeted along with confirmation that the game had passed Nintendo's submission process and is ready for release. Colors! 3D is the follow up to Colors!, a DS homebrew application that allowed players to create simple paintings. Colors! for the DS was originally released in June 2007. The long-running mystery series is coming to Nintendo's handheld. Jake Hunter's next outing will be on the Nintendo 3DS, according to Andriasang via Famitsu.